IMAP folders exist at the account level, so this folder will show up on any devices using the mail account, as well as webmail and Outlook. 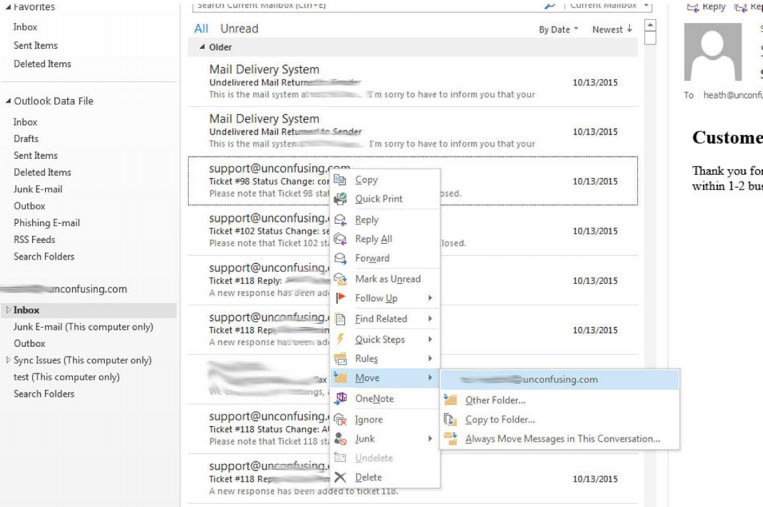 This tutorial shows how to create the folder and move email. As a caution: moving massive amounts of emails can take a long time to process, so don't stop once it has started copying even if Outlook isn't responding. We recommend to move a few hundred at a time instead of a few thousand. 1. 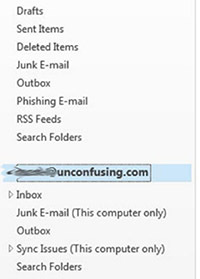 Select the email account you wish to add a folder to. 2. Right click the account and select New Folder. 3. 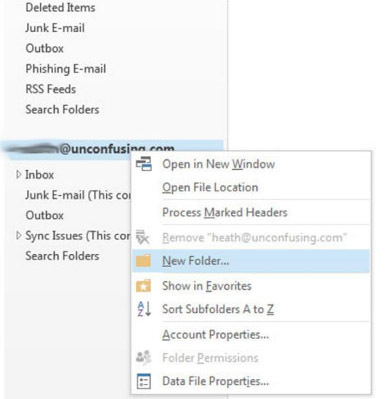 Move emails to the new folder by selecting the emails, clicking right and selecting Move. You will then see a fold out menu with your new folder in it. You can also use the toolbar to Move items.